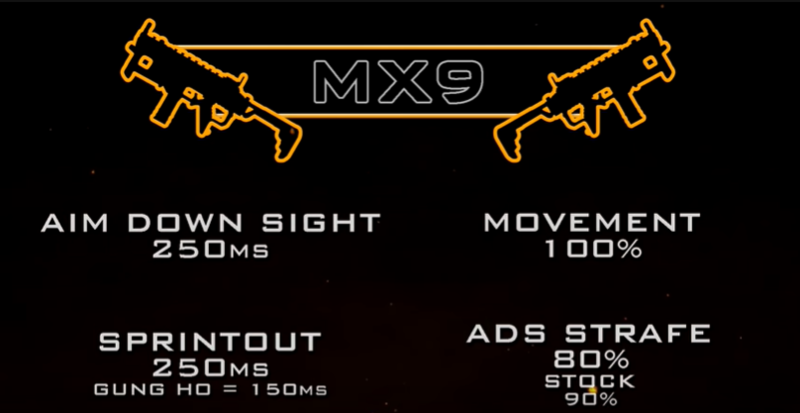 The MX9 is among the most subpar guns in Black Ops 4’s multiplayer, but why is that so? With XclusiveAce’s help, let’s find out the answer. 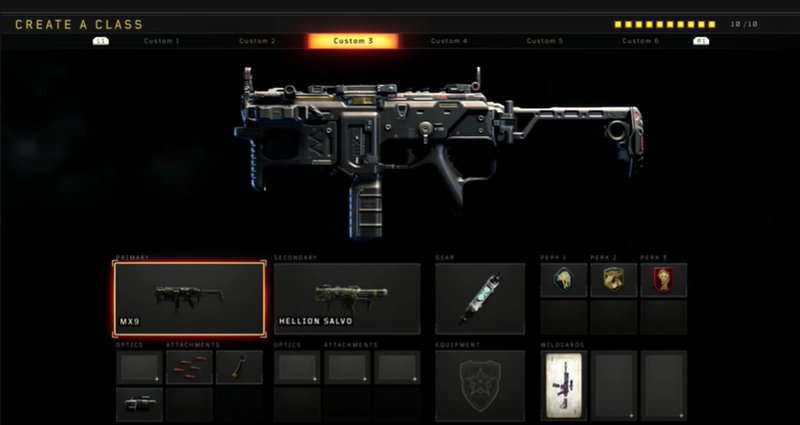 At some point along the way to your Dark Matter camo, you will have to come face to face with the worst guns in Black Ops 4. The MX9 falls into the lower end of the pack due to severe nerfs from its beta heydays. The nerfs left the weapon with significant recoil, lower damage, and a worse hipfire profile. While the fire-rate of 722rpm stand above the GKS and Assault Rifles, it falls short of the other SMGs. The weapon feels similar to SMGs from older Call of Duty titles ie. Black Ops 2’s MSMC, but it lacks the damage per bullet of those weapons. Coming in 32 damage at point-blank range, the MX9’s unique falloff calculation continues falling off in damage all the way to 18 per shot. That’s a 9 bullet kill. Rapid Fire slightly ticks up the gun’s fire rate to 769rpm, but this is too falls oddly short of other weapons. 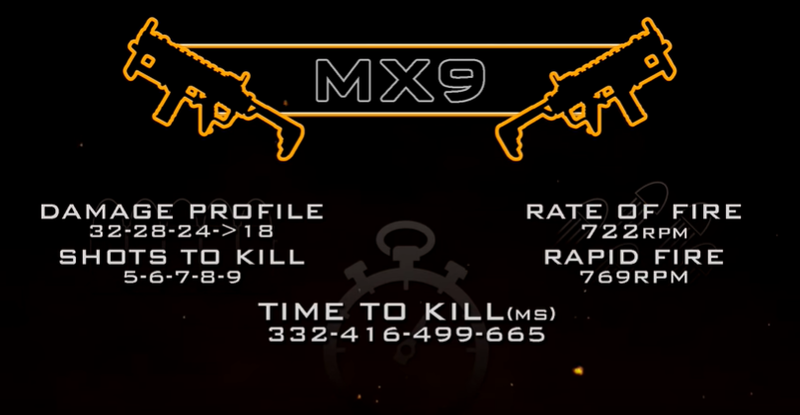 The time-to-kills of the MX9 fall between 332ms and 665ms, putting it at the severe disadvantage against both SMGs and ARs. Moving right along to movement stats, the features an average ADS time of 250ms. Additionally, the weapon makes great use of Gung-ho as its benefits reduce the sprintout speed to a snappy 150ms. This will allow you to quickly pop in and out of sprint to ensure you arrive at chokepoints and objectives faster. ADS strafe speeds, an important stat with the rise of quick-strafing in multiplayer, are quite decent for the MX9. The regular speed without stock already gives you 80% of normal movement speed. Stock does not ultimately give the player much as the upgrade is only 10%. As such, Stock is not recommended on the MX9. After examining the above stats, XclusiveAce crafted a class to fit in with the conclusions. Scavenger is taken due to long kill times and the amount of ammo needed to kill even a few players. Gung-ho is taken due to the 100ms shave it gives to the sprintout speed. Dead Silence rounds out the perks to keep the player quiet while they traverse the map. As for attachments, the class includes Rapid Fire, Hybrid Mags, and a Laser Sight. The Hybrid Mags help with the reload speeds and lets the player get back into the fight faster. The Laser Sight buffs up the lackluster AR-like hipfire profile and the Rapid Fire gives a small bump to the kill times. A Hellion Salvo is also thrown onto the class to the provide more utility. As with all subpar weapons, you might find yourself feeling less useful to your team when using the MX9. As such, packing a Salvo can help you fill in gaps in damage by shooting down enemy streaks. We thank XclusiveAce again for his great work on providing the Call of Duty community with weapon stats. You can find more stats in his full video, embedded below.